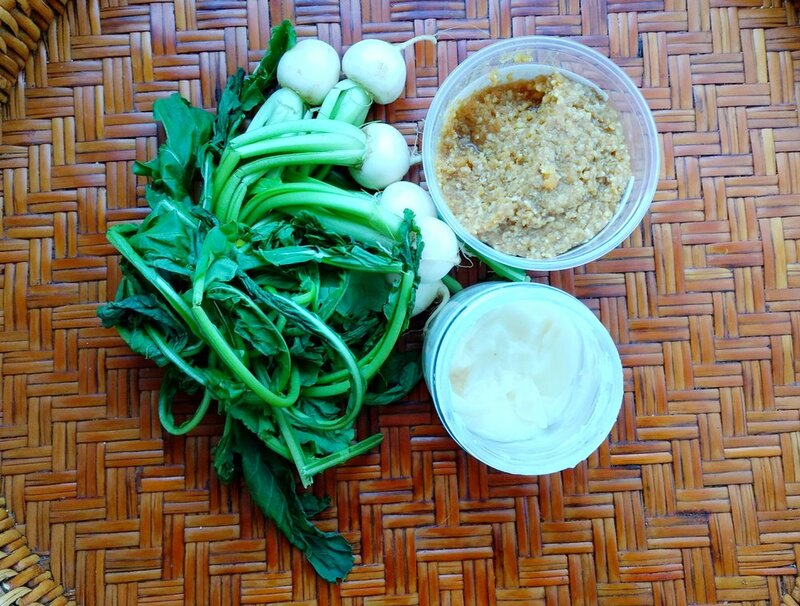 These beautiful turnips surprised us with their deliciousness when we found them at the farmers market this year. We have been playing with the chickpea miso and it has been such a umami salty treat this Autumn. We love jorinji miso with is locally made and comes in amazing varieties. This simple dish is a perfect side for almost everything we make. We usually do two bunches at a time so there is left overs for lunch the next day. 1- Cut the greens from the root and wash the greens and roots. 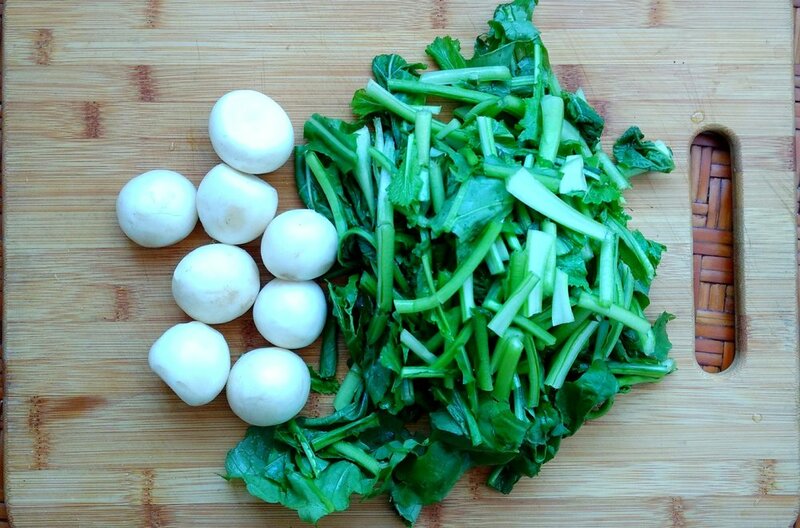 2- While heating the pan to medium high, trim the turnip roots and chop the greens. If the turnips are a bigger size feel free to chop them in halves or quarters. 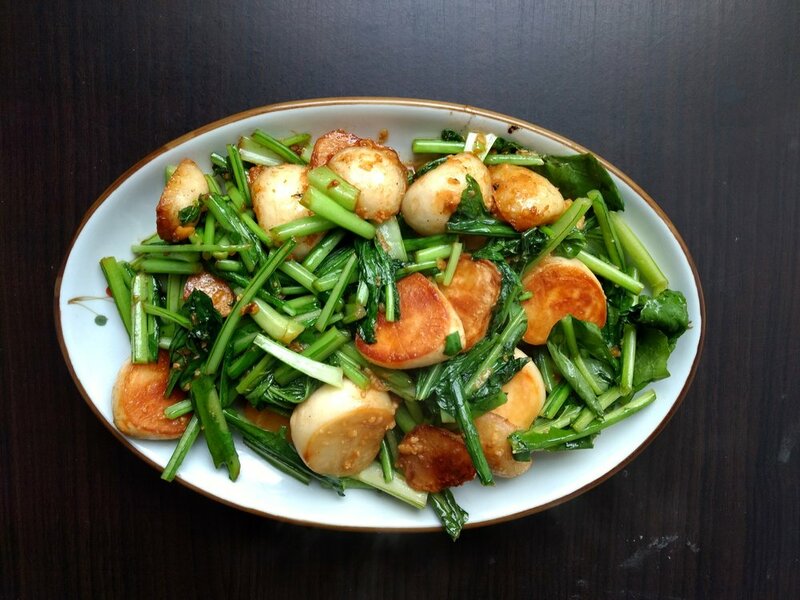 3-Put the fat in the pan and when it is completely melted add the turnip root and let them cook until golden one one side and then turn, 4-6 minutes. 4- When the turnip root is golden on both sides add the greens and the miso. Stir well while cooking for a few minutes until greens are wilted and bright, but the stems still crisp. Plate and enjoy with any meaty main dish you can dream of.